No matter how young you are, you will always be older tomorrow. 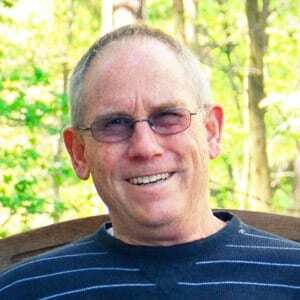 We are all moving – inevitably – toward that day when the kids leave home. The fact is: The children will never be this age again and we need to be ready. Some couples say, “This family is all about the children; so we’ll worry about us when they’re all grown.” But people who say that are dead wrong. First, the best thing you can do for your kids today is to love their other parent, and anchor your family with a strong relationship. 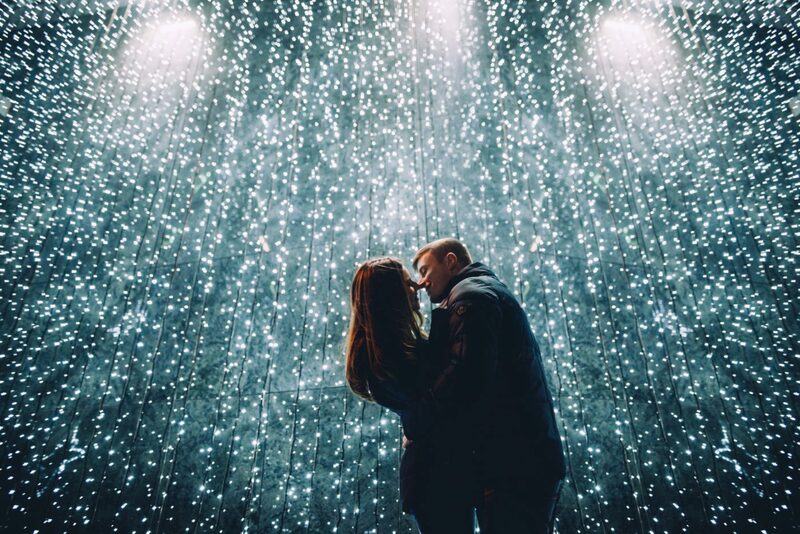 Second, the best way to prepare for the rest of your life together is to focus on your relationship now. The most important relationship in your family is the one between you and your spouse. Everything flows from that. [Tweet This] Invest in your spouse and remember what marriage is. Simply put, your spouse at the top of the pile when it comes to intention and attention. Woo her, pursue her, and see her first when you walk through the door. Marriage is about each other. Truth is too many of us drift apart while the children are growing up. Children are the product of marriage; marriage is not the product of having children. This is more than semantics, this is making sure we have things in the correct order. Invest in your future together… or there won’t be one. With that renewed commitment to your spouse front and center, you can wave goodbye when the last child heads to college, hold your wife close, and begin to redefine the joy of being together without so many distractions. So whether you are moving toward that day or are already there, plan to utilize these ideas to grow closer as a couple and enjoy the empty nest. 1. Redefine your living space. Begin imagining what the house will look like when it’s just the two of you, and you can start this process well in advance. Turn a bedroom into a craft space for your wife. Design an exercise room together. Or help her create the perfect guest room. In other words, do something that marks the new chapter, frames it in joy and intention, and encourages you to listen to what she would like to see. 2. Plan creative ventures that you’re both involved in. Rather than leaving a gaping hole where the children used to be, do something new that wouldn’t have been practical with the kids at home. Host a weekly Bible study at your home; take a gardening class together; or make a commitment to volunteer together. 3. Take some overnight trips. And do it on a whim! These are a pivotal reminders of the freedom that is now (or will be) yours to come and go without regard to the kids’ schedules. 4. Keep a joint calendar. 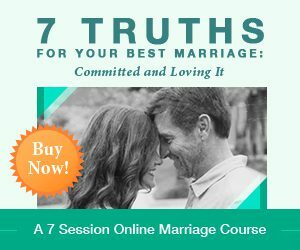 Build your new life together around your relationship. Instead of school events, begin planning “us” events even now. Be intentional. Dream. Commit to a new life together. If you don’t make something happen, likely as not it won’t. 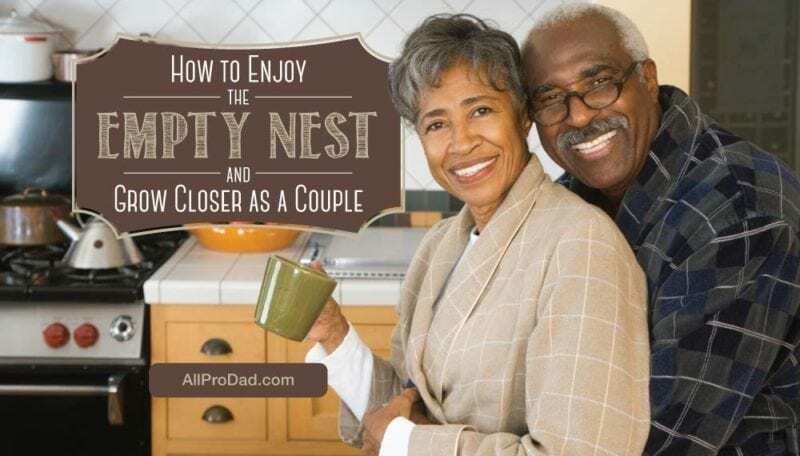 Huddle up with your wife and ask her what she’s looking forward to about the empty nest.